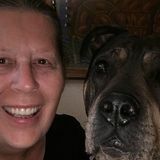 Available: Consistent House Sitter in Phoenix. I love pet care , love helping people . Hello my name is Cindy. I have many years of experience providing cleaning services, and look forward to helping your family! Excited to talk to you soon. I also I’m a certified caregiver, can run errands.. anything you need..
You had me at help.